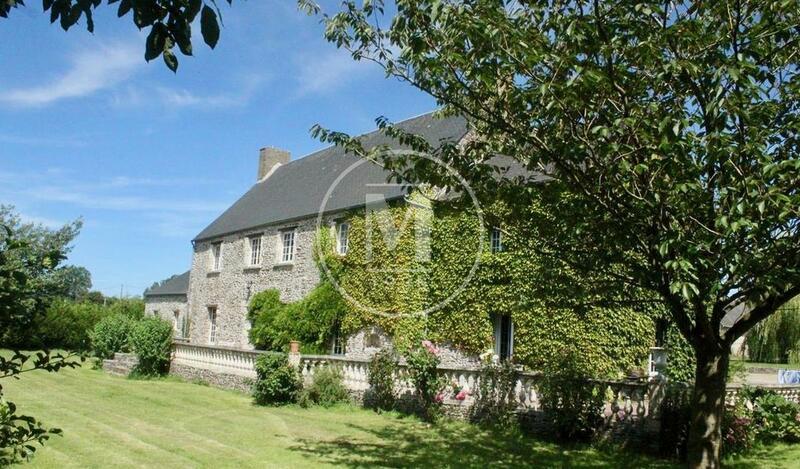 For sale, this charming property of 650m 2 located 10 minutes from Bayeux is ideal to create a tourism activity. A square courtyard is bordered by 4 buildings: a main house of 290 m2 with 5 bedrooms, 2 other houses, outbuildings and 1 old barn made of shale stone. There are also 4 boxes and a large cathedral barn (140 m2), a storeroom, garages, various storage areas, a bicycle shed. Its land of 4 ha is divided into meadows, woodland, grassland, a pond, a heated swimming pool (12x5 m), a period bakery sheltering an authentic bread oven, and a vegetable garden.